The professional sound card is a connection between the DAW (software in your computer) and the physical inputs and outputs. Their special version is the Digital Vinyl System (DVS), which means that you do not have to carry any vinyl with you, and all recordings are stored. This card consists of an optimised audio card with low latency, driver software for communicating with the computer, special vinyls or CDs with timecode and necessary cabling. Record from microphones and musical instruments for subsequent editing and mixing in your computer, possibly only a mix of already prepared reports. The included software also corresponds to the use, in which you always check the compatibility with the operating system. Internal - suitable for demanding users. External - better to carry and generally operate with higher performance, lower latency and greater number of inputs to outputs. DJ - cards offer fewer connections and are basically intended for mixing. Musicians and studios - cards contain a larger number of inputs and outputs, and allow them to adapt the instruments and microphones with phantom power. Playing from a normal turntable - same feeling of playing, as with classic vinyls. Music is stored in a digital format - no need to transfer the amount of boards, but all you need is one special time code. Much greater availability of content - in a digital format, many more recordings than in a classic vinyl. Advantages of digital DJing as a bonus - the creation of samples, loops, and effects during performances. Latency is no longer a problem - specialised reloads and quality systems work with minimal delay. Musical instruments (XLR / TRS) - usually referred to as Hi-Z or instrument, which is used for secure connection of electric guitars, etc. If you do not have an instrument connector, you can create it from the microphone input using a di-box. 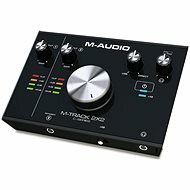 USB - for digital connection to the computer and transport of MIDI signals. 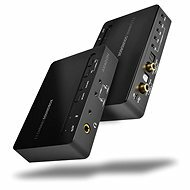 Coax / TOSLINK - for the digital signal input from the PC, players and other sources. MIDI -for receiving the MIDI signal, e.g. From keyboard and other devices. 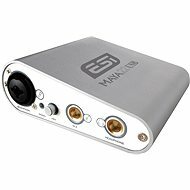 6.3 / 3.5 mm headphone jack - has its own volume control, simplifies listening during recording. 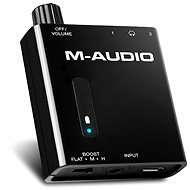 Speaker / amplifier - is realised via XLR / TRS, it is available in the cheaper versions also like classic RCA (Cinch). MIDI - for MIDI signal transmission, in sound modules and sampler. USB - for digital connection to the computer and MIDI signal transmission. Coax / TOSLINK -a digital transmission of audio signal to the external decoder, or a combination of an amplifier and a loudspeaker.